Last week Karen, Paul, Saskia and I headed down to London to attend the annual meeting of the Royal Geographical Society (or Institute of British Geographers, depending on your taste/politics). This is a regular bunfest held at the RGS headquarters in South Kensington, a rambling Victorian building which feels a little like a down-at-heel gentleman’s club (of the non-stripping kind! ), located next door to the Royal Albert Hall. RGS is quite a big conference, with several hundred sessions running in parallel across three days, which means you get to pick and choose the kinds of things that you’re interested in and build your own conference programme. It’s a great opportunity to graze new ideas and meet scholars working in your area. This can be fabulously eclectic – I saw papers looking at Peruvian gastronomy in Chile, car sharing schemes in Malta and ‘voguing’ as a tactic of resistance in LGBT Manchester among many others. Karen gave a great paper co-written with Beth in a session on ‘Urban transformations and city living’. In Cities at the Frontiers of 21st Century Britain: Greater Manchester and the ‘Original Modern’ Creative City they explored the contrasting approaches to the governance of culture seen in two Greater Manchester case studies: Manchester International Festival and Islington Mill. I found it really fascinating to get into the nitty gritty of these case studies, particularly the close links to the Biospheric project, which is transforming a derelict mill in Salford into a space for urban farming. Saskia and I organised a couple of sessions (which is to say, Saskia did all the organising and I basked in the reflected glory) under the title ‘New frontiers of connecting communities in the creative economy’. Abstracts for both the sessions and the papers can be found here and here (sadly Bob Stone was unable to make it on the day due to unforseen circumstances). There were too many papers to discuss them in detail here, so apologies to anyone not mentioned. It was really exciting to have Ginnie Wollaston and Roxie Collins from Birmingham City Council coming down for the day to talk about the City’s cultural pilot and the local arts fora. 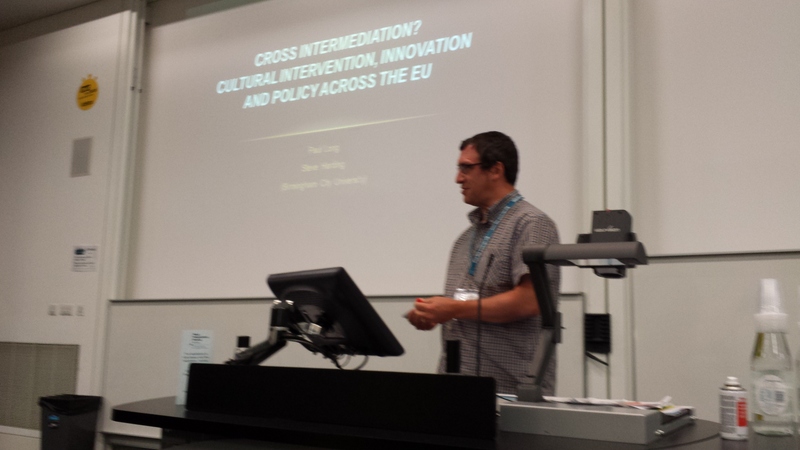 Our very own Paul Long gave a paper examining a pan-European project on cross innovation within the creative sector. Lizzie Richardson developed some interesting theoretical ideas using Ranciere to examine how the co-constitution of art and community through a case study of Acta in Bristol. 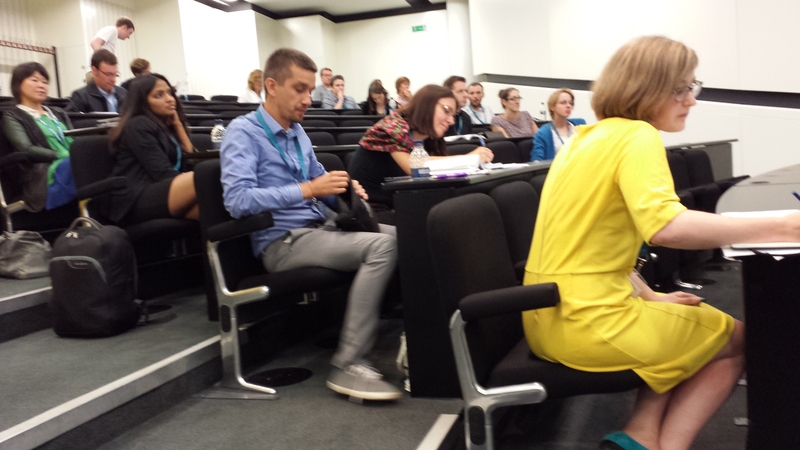 Liz Roberts & Leanne Townsend made some really lovely observations about how there is an implicit city-bias to creative class discourses, when examining the resilience of the rural digital economy. Best title of the session (if not the conference) went to Julie Urquhart’s People, Place & Fish, which used a mix of techniques – including some great photographic and arts-based methods – to explore inshore fishing and the culture/heritage of different northern European coastal areas. Great stuff.